Keeping up with fashion trends that change nearly every month is exhausting on the environment and on your wallet — and fashion brands are taking note. Rebecca Taylor is the latest brand to orient themselves to such a service. They recently launched a rental service called RNTD with a flat-rate monthly payment, no shipping fees and free dry-cleaning services. Sound familiar? It’s a service much like that of Rent the Runway, a company that largely dominates the rented fashion space. RNTD is a sign that luxury retailers might be going the way of rented retail. The monthly payment for RNTD is just $159 a month for four pieces of clothing that you can exchange countless of times within that timeframe. With pieces selling for more than $200, it’s not a bad deal. Furthermore, if there’s a piece you just can’t say goodbye to at the end of the month, a special discount is available for members. Rebecca Taylor’s pieces are fashionable and offer a wide range of selection from tops, jackets, sweaters, dresses, jumpsuits and shoes. It’s too soon to say whether other high-end retailers will follow suit, but it is a sign that the rental clothing trend isn’t going anywhere. 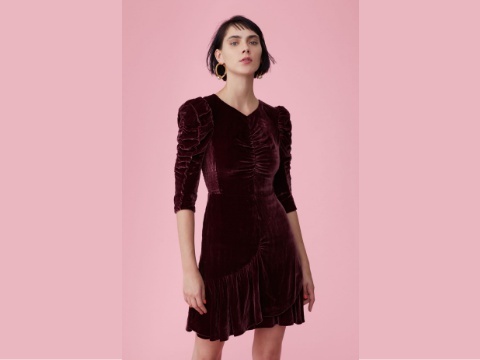 “With the rising popularity of clothing rental, I was excited by the opportunity to explore this platform as it felt like a natural progression for the brand,” the brand’s CEO Janice Sullivan said in a statement.